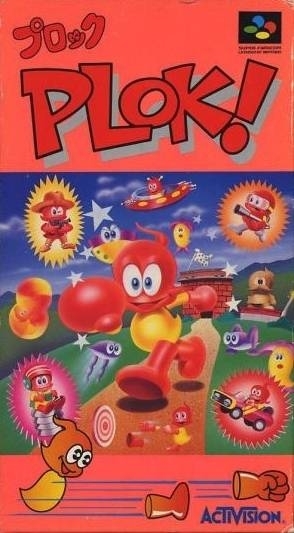 Plok dwells on Akrillic, a large island in the region of "Polyesta", and the game is set in the islands of Polyesta, a region the Pickford brothers claim was inspired by their shared adventures in the Realms of Dreamspace. 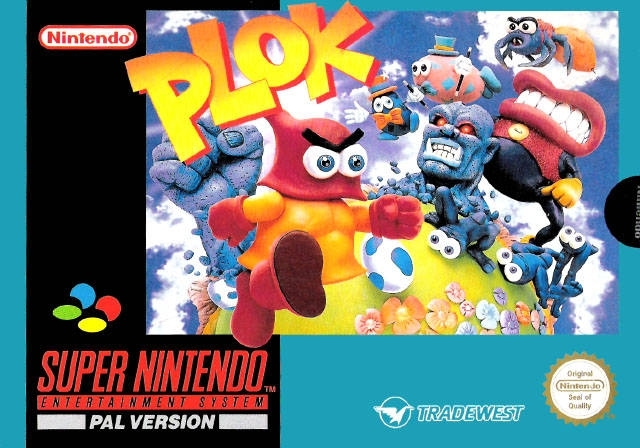 Plok's special power lies in the fact that he can launch any of his limbs at will and allow them to damage enemies, once the damage has been done they return to Plok until he decides to attack again. Another integral use of this ability is using it to solve puzzles that involve having to "sacrifice" one of Plok's limbs to activate switches (thus gradually decreasing Plok's mobility and his chances in battle). Once a limb hits a switch, it is placed on a hanger that may be right next to the switch or several screens away; some switches also require certain limbs. Plok's secondary attack takes the form of a buzzsaw-like jump that not only gives him increased speed, but also dispatches enemies. At a certain point in the game, the player can acquire an amulet that enables them to convert shells into power for this move at any time. As in gaming tradition, Plok has a common item that he can collect throughout his travels. Plok's token pick-up are shells, which award extra lives and serve as ammunition for a special amulet received part way through the game. 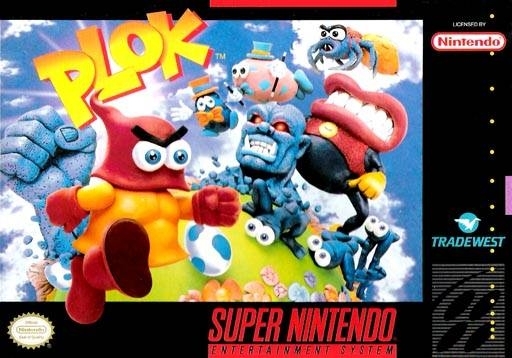 Also within tradition, Plok has numerous power-ups that come in the form of "presents" scattered amongst the majority of levels. If Plok locates one of these colorful gifts he is immediately transformed into a more powerful fighting machine for a brief length of time. These power-ups include a flamethrower, boxing gear, a shotgun, twin handguns and even multiple rocket launchers. Specific presents yield vehicles that Plok can use in some later levels. Presents can be fairly difficult to find, but reward the effort made to discover them with an often much easier path through the level. The title is cool, the game is cool, the character is cool. Plok plok. I've always like that title.."Plok". Plok,plok,plok,plok,plok,plok,plok,plok.